How to start teaching online to make passive income? Home » Money & Wealth » How to start teaching online to make passive income? Teaching online – Can you believe that anyone can earn Rs.20,000 per month by spending 2 hours daily? Earning money through teaching online is a decent way to educate a person while you are still learning and pay your bills at the same time. Isn’t it a two way process, growing by your own as you help someone else to grow? So let’s find out, how to make money through online teaching…. But before, you should know how to become an online tutor. How to start teaching online? There are few certifications in India and abroad to train you as an online teacher. You can apply on the sites like teacherfoundation.org or, TEFL to become a certified online tutor. Becoming online teacher is different from being an offline teacher. You should have the in-depth understanding of your core subjects and the basic understanding of starting online businesses and digital marketing. 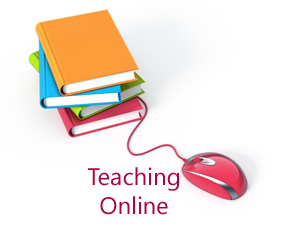 Here is a step by step guide for making your career in online teaching. You may sometimes feel that you can teach all the subjects in high school, but online teaching portals prefer that you must have a major and a sub-major subject. Decide a subject on which you have a good command so that you can answer almost any type of student’s questions. For example, if you are an engineering graduate then you can choose Math, Physics or a subject related to your engineering as a major for teaching. Or if you are a Java or PHP developer or a financial analyst, you can choose a relevant subject as a major. After choosing your major and sub-major subjects, you should enroll on the online portals. These portals provide platforms for an online tutor to connect with their students from across India and abroad. Some of the best online teaching portals are, tutorindia.net, myprivatetutor.com, 2tion.com, wizIQ.com, e-tutor.com, tutorvista.com. You need to do promotion to tell people that you are an online teacher. You can get a tutee without promotion but there is no certainty about how and when will you get your first student. By doing promotion, you will get your first student much earlier than average. Promotion is also a way to increase your reach to a number of people who are willing to get tuition in your subject. For promotion, you can use one or more methods from the following list. Tutor portals allow you to search for a job opportunity and apply directly from your profile on their websites. You must keep on applying for almost every relevant vacancy. Although there are few sites which limit the number of application you can send in a month. There, you should take extra precautions to apply. You can also make a relationship with fellow teachers on the portals so that if they are getting excess job opportunities, they can refer them to you. Join your subject relevant groups on facebook. Solve the queries of group members.Participate in discussions around your subject and show your value so that people start recognizing you. Then, publish the link of your tutor profile into these groups describing your major subject and why a student should reach you. You can make your portfolio blog to demonstrate that you are an online teacher. In your blog, you can show your knowledge about the subject by publishing regular and informative posts. You can also sell courses through your blog so that a student can directly buy a course from you. This way you do not have to take a regular class but an inflow of income will be maintained. You can make your own youtube videos showing your knowledge in a subject. A video can convince the students and their parents about your teaching style and depth of knowledge in the subject. You can also customize your video to be easily searched in google and youtube so that if someone is searching for a tutor through google, your profile may get featured in the search results. Online teaching is not possible without few of these tools. Some of them are paid for advanced features but almost all of them are free to use for a basic purpose. Making online calendars and making a schedule for the upcoming work helps you to keep them on track. Google Calendar, Teachworks, Tutor Panel are some of the best tools for the online tutors. Mark a special date for any task and set a reminder. Getting notification about upcoming session and due dates. Video calling helps to make an environment much like a real classroom. You can talk with your students and check whether they are distracted. Skype and Google hangout are popular tools for online tutoring. Face to face communication. Sometimes students don’t tell that they are facing a problem. You can read their faces and ask whether everything is ok if you are communicating with them on a video call. Sharing screen or direct content through the chat box. Virtual whiteboards are much like classroom whiteboards where you can elaborate any topic with the help of diagrams. Best virtual whiteboards used by online tutors are Idroo, Sketchlot, Stoodle, Pixiclip, Scribblar, Real time board. A complimentary for classroom blackboard or whiteboard. Real time visibility to both student and teacher while the teacher is drawing anything on the virtual whiteboard. Student and teacher, both can collaborate simultaneously. All the sessions are stored. Google drive, Dropbox, Onedrive are some of the best tools for sharing a document, assignments, give feedback at the point of error. Google drive is among one of the most popular tools used by people who work online. These tools work online through your browser and can be used for real time exchange of material and feedback i.e. if you give comment here through your computer, it will immediately show on your student’s computer. Best used for document collaboration. Any assignment, homework or informative audio, video or image can be easily shared. Real time collaboration and review options are available. All the documents are stored for the lifetime through your email id. You can still be a learner yourself while doing an online teaching job. But there are certain pre-requisite if you are planning to make a long time career in online tutoring. Deep knowledge about your core subject. Passion to learn interesting updates in the field. Flexibility in your teaching style so that your student can enjoy your subject. Ability to explain a tough topic with an easy example. Ability to motivate your student. A habit of providing regular and constructive feedback. Handy with computer and software used for online communication. Command over English because it is the lingua franca. A tech guy or a lawyer, a housewife or a college going girl, anyone can start their online tutoring job just by signing up on a tutoring website. Slowly you will start making decent money. If you have any query, just drop a comment. This is guest post written by Avinash. Avinash is co-founder of personal finance startup CashOverflow, where he helps young people to manage their financial life. You can learn hacks to save & make money from their articles.